This recently rediscovered painting of Sir Winston Churchill by Walter Sickert (1860-1942) will be offered for sale for the first time at the 20/21 British Art Fair. 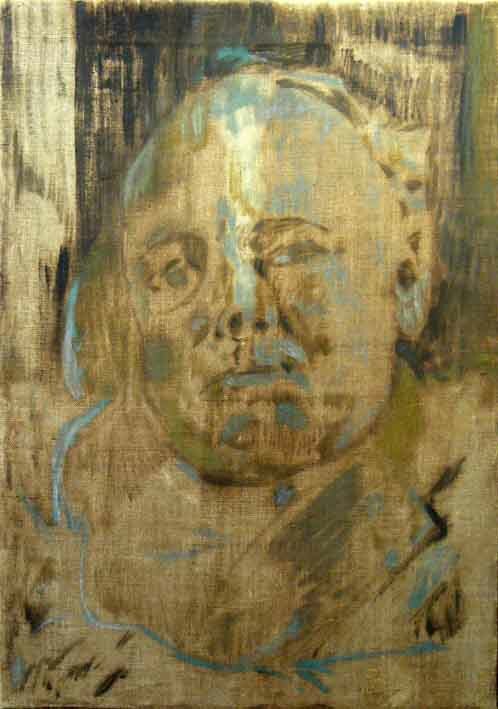 A portrait of Sir Winston Churchill by Walter Sickert which is offered by The Court Gallery at the 20/21 British Art Fair priced at £50,000. Priced at £50,000, it will be exhibited at the September 9-13 event by Denys Wilcox of The Court Gallery. It came by descent from the private collection of Paul Maze (1887-1979), the Anglo-French artist who was a friend of Churchill. The oil on canvas sketch, made from life in 1927, is relatively large for a preparatory study at 2ft 2in x 20in (71 x 51cm) and was used as a source for the smaller, finished portrait of the same year, now in the National Portrait Gallery. As the art historian Dr Wendy Baron writes in the catalogue notes, Churchill's mother-in-law, Lady Blanche Hozier, had been a close friend of Sickert for many years and Clementine, his wife, knew the artist as a girl in Dieppe. The study dates to a particularly close time in the friendship of the two men, when Sickert gave Churchill an intense course of instruction in painting, both in person (he stayed at Chartwell in September 1927) and by letter. These letters were later published in full by Churchill's daughter, Mary Soames, in Winston Churchill: His Life as a Painter, 1990, and Churchill once wrote to Clementine: "He is really giving me a new lease of life as a painter." In this work, Sickert appears to have practised what he preached - he advised Churchill to prepare paintings in camaïeu, many thin coats of paint. "The thinly scrubbed two-colour underpainting, muddy browns with the highlights in cobalt, represent the beginnings of a portrait," writes Baron. • For a full preview of the 20/21 British Art Fair, held at The Royal College of Art in London, see this week's ATG print publication.